October 4, 2017 October 4, 2017 / Steve M.
Another delightful clandestine title from the 1930’s, and having recently confessed my ignorance of the identity of T. Mertens, (illustrator), I find myself listing a title that definitely is illustrated by him, but this unfortunately takes me no closer to identifying him or her. The illustrations are very delicate and do not scan well, I have therefore used enhanced exposure to clarify the images for display on the blog. 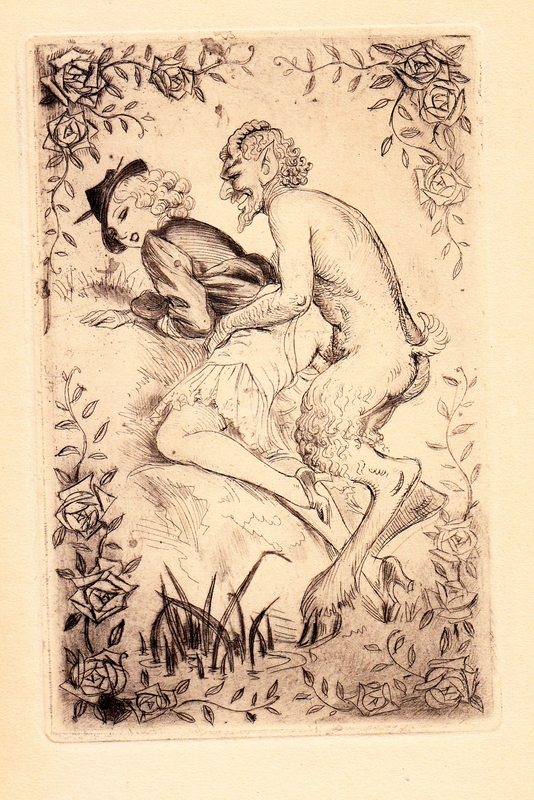 In a recent listing ” Françoise ou Les Plaisirs du mariage”; I referenced that the illustrator had been identified as either T.Mertens or Rojan, having compared the two I am not convinced that T.Mertens is the illustrator of that title. I have linked “Françoise ou Les Plaisirs du mariage”, at the bottom of the page so you can make your own judgement. 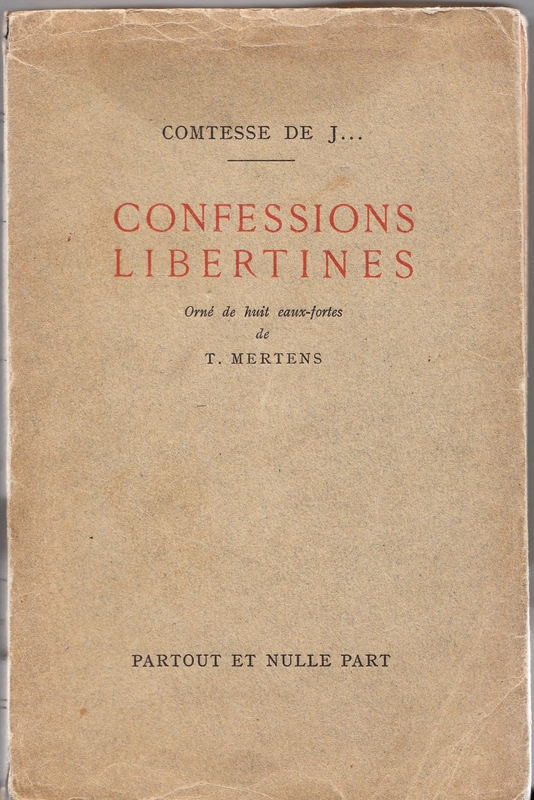 COMTESSE DE J… [Johannes GROS] – CONFESSIONS LIBERTINES. 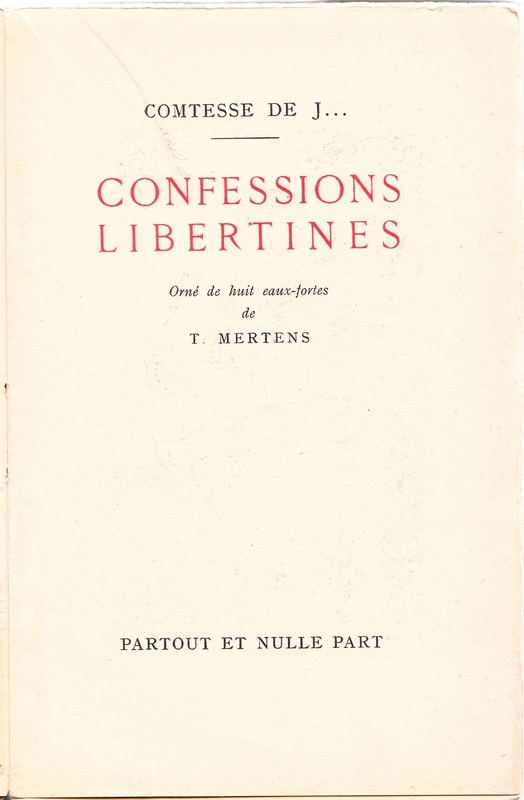 Orné de huit eaux-fortes de T. Mertens. 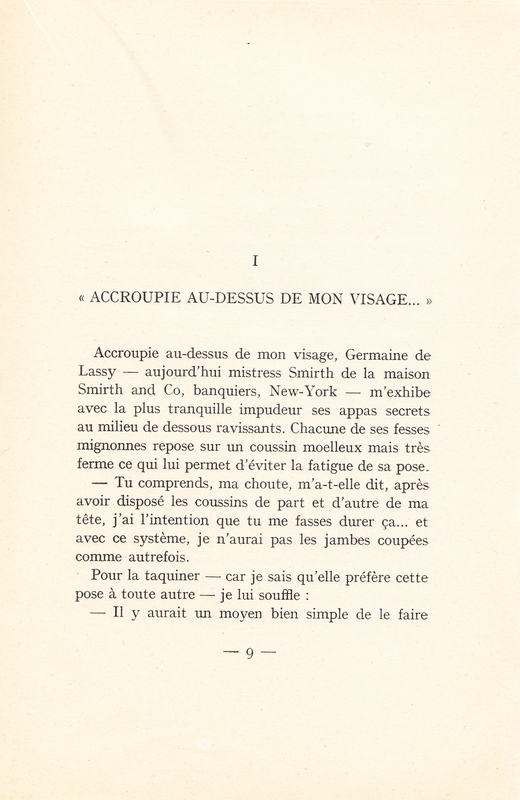 Partout et nulle part N.D. [Imprimerie Darantière, Dijon, 1931] pp.211.